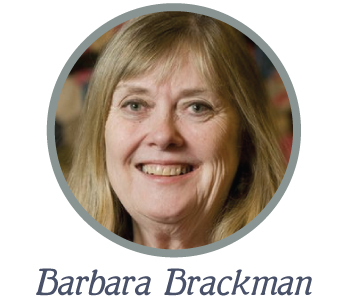 Today we're kicking off a fun new series: Flashback Friday, hosted by Moda Designer and quilt historian Barbara Brackman! 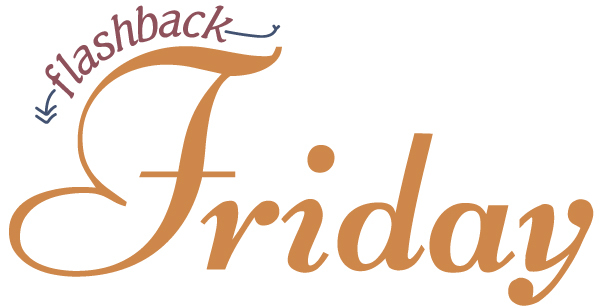 Join us every other Friday for Barbara's selection of gorgeous new prints and collections inspired by all-things vintage and interesting tidbits of fabric history! 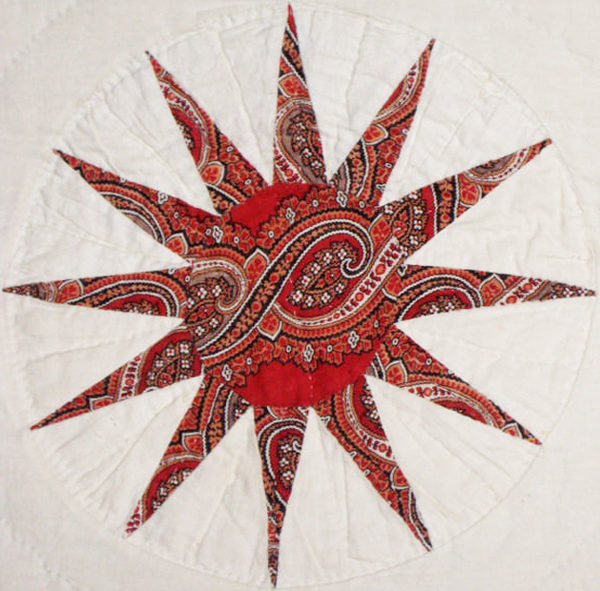 No Civil War era repro quilt is co mplete without a few paisleys. Add to your must-have stash with Kathy Hall's new Beckwith, offering prints echoing the 19th-century craze. 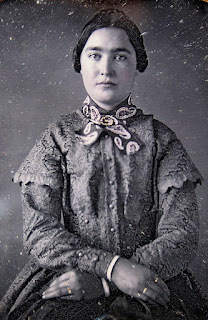 Fashionable woman dating back to around 1850. That stylized botanical form we might call a paisley shape is borrowed from India's imagery. The technical name: Boteh from the Hindi word for flower. Paisley refers to an industrial town in Scotland where factory-woven copies of paisley shawls created an affordable fashion fad. shades of orange, red, and dark brown. Circa year 1870. Inexpensive cotton prints brought a bit of eastern design to western bedding. During the 1860s and '70s, paisleys in madder-style colors (warm, reddish-browns) were particularly fashionable for ladies' robes and quilts for the up-to-date boudoir. 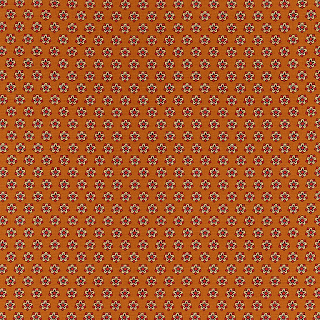 The Beckwith collection includes several prints to add that authentic, cinnamon orange that was found in old, natural dyes, to your vintage-inspired project! 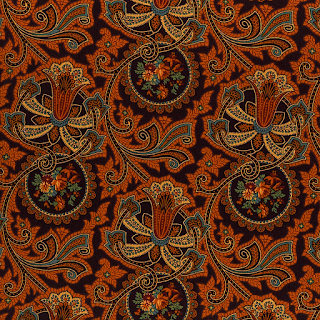 What do you think of the paisley and madder orange vintage trend? 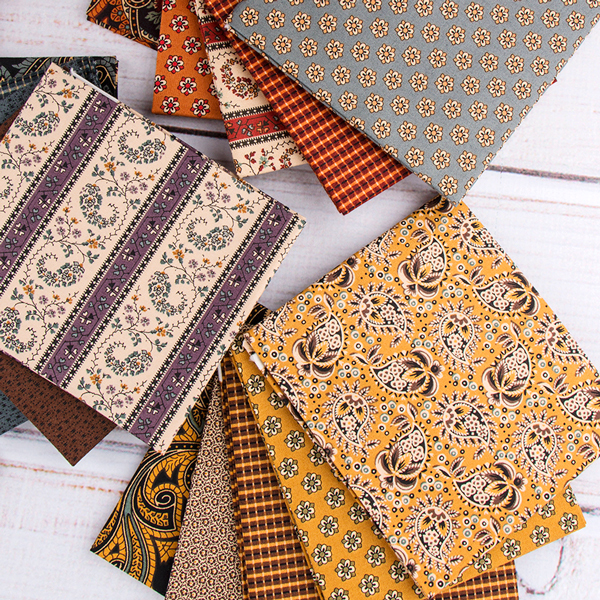 Do you have a pattern in mind that you'd love to plug these fabrics into?